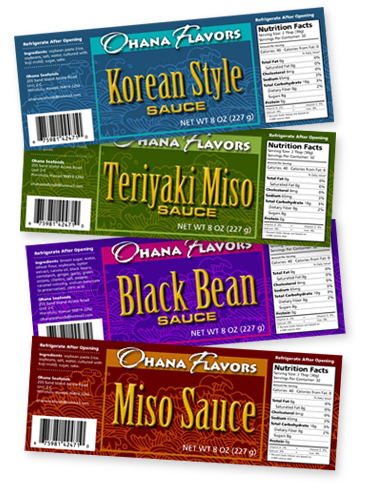 These labels were created for a new line of sauces from Ohana Seafoods. 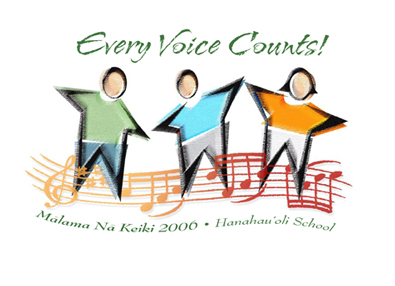 An illustration for Hanahau‘oli Schools annual auction/fundraiser. 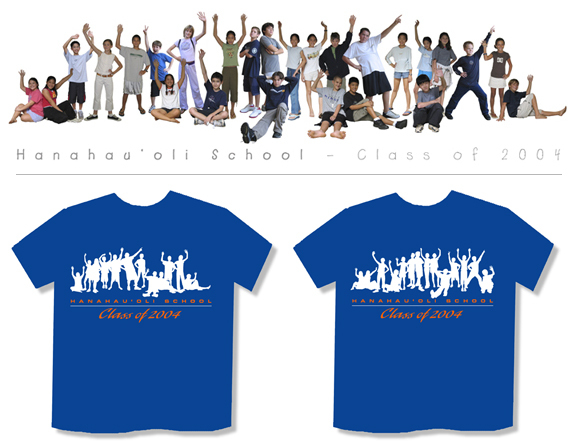 The photo illustration was converted to the front and back of the class t-shirt. 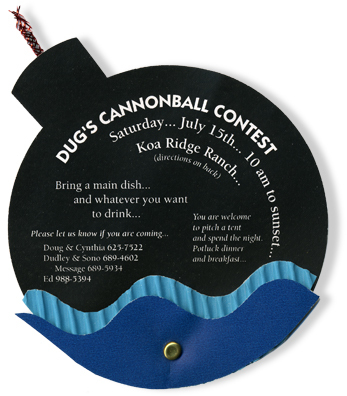 Die-cut party invitation. It was a splash! 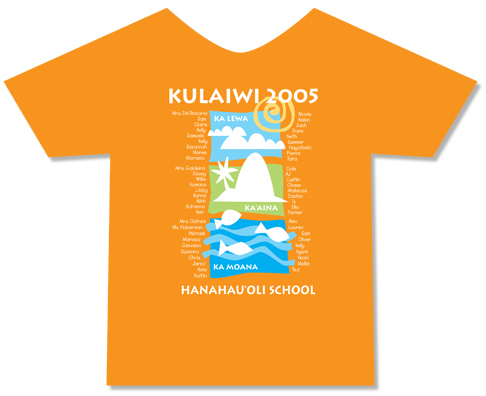 This was designed for my daughter’s class.